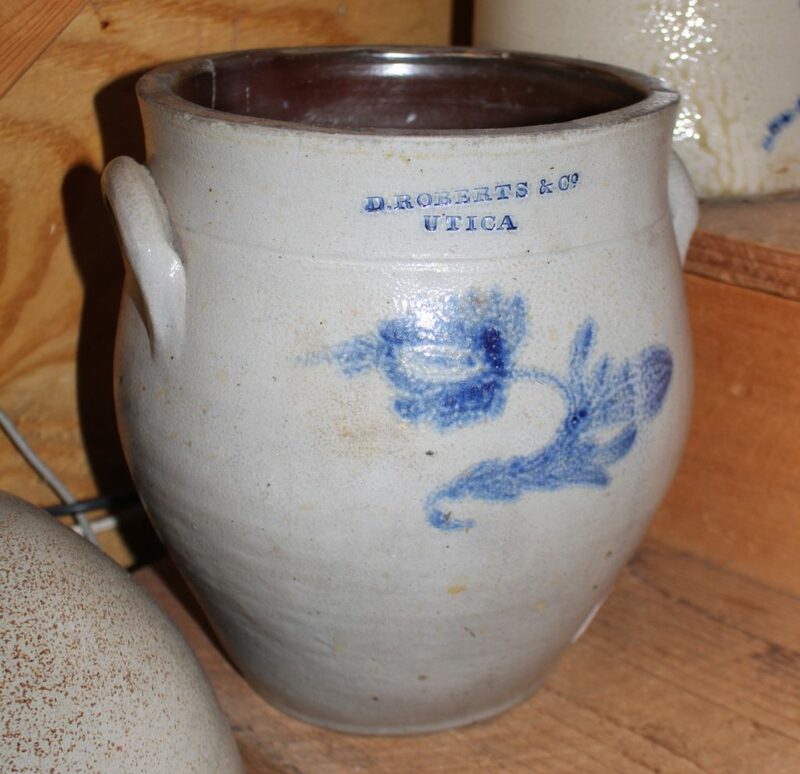 This blue decorated stoneware crocks is marked D. Roberts, Utica, New York. Approximately 14″ tall. “As found” condition with a 4″ hairline at the top. A great shelf piece, nonetheless.